Member of the supervisory board of public broadcaster ERR for the Conservative People’s Party (EKRE) Martin Helme sent a letter to fellow members of the board on Wednesday, seeking the removal from air of journalists he described as “biased”. Helme accuses ERR of violating the balanced coverage principle in news and opinion programs following Riigikogu elections earlier in March. Chairman of ERR supervisory board Rein Veidemann said the board will convene on April 9, which is also when Helme’s grievance will be discussed. The supervisory board of ERR consists of four specialists and one representative from each Riigikogu faction. Representative for the Center Party Marika Tuus-Laul said that she partly agrees with Helme’s criticism. “Looking at Priit Kuusk’s interview with Prime Minister Jüri Ratas, it was very ugly, aggressive and pushy. Entirely unbecoming,” Tuus-Laul said. Ratas told ERR news portal yesterday that “no politician has the right to take journalists off the air or tell them they cannot work somewhere”. Tuus-Laul also pointed to Johannes Tralla’s interview with Mihhail Kõlvart (Center). “He interjects and interrupts,” the politician described. She added that Tralla’s style has been discussed in the supervisory board on past occasions. Supervisory board representative for Isamaa Viktoria Ladõnskaja-Kubits remained tight-lipped when asked to comment on Helme’s letter. “If a proposal has been made, we will discuss it,” she said. 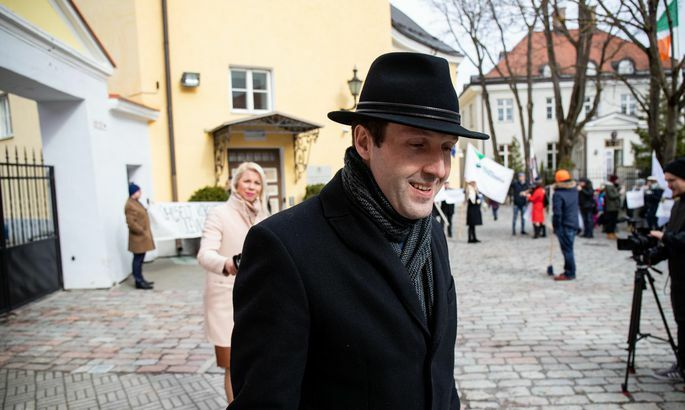 Supervisory board member Paavo Nõgene said that because he cannot say which situations Helme is referring to, he cannot provide an assessment. “Personally, I value the work of ERR professionals, from cameramen to journalists, very highly,” Nõgene said. ERR’s journalistic ethics adviser Tarmu Tammerk said that he can only respond to specific complaints, not general criticism. “It is not appropriate to talk about punishing journalists on the backdrop of such vague descriptions, especially if the idea comes from an MP,” Tammerk said. The adviser added he has reminded journalists of the need to maintain impartiality during such turbulent times in politics. “The style of some interviews has raised questions whether ERR is holding to the principle of neutrality,” Tammerk said. Looking at the entire period since elections, Tammerk finds no reason to describe ERR coverage as unbalanced. Executive Manager of the Estonian Newspaper Association and professor of journalism Mart Raudsaar said that it is not up to politicians to decide which journalists are suitable and which are not. “It is a matter of the editorial board’s autonomy,” he said.